IT service management (ITSM) platforms are becoming increasingly difficult to implement due to limited resources and new technologies like the cloud, mobile and social networking. 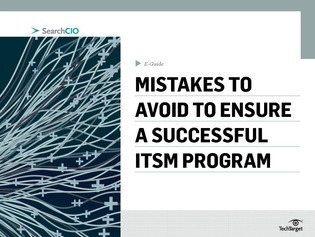 This expert e-guide details three mistakes that you must avoid in the ITSM process. Here is one now, metrics that focus on IT performance rather than on business impact. Read on for the other two and find out how to optimize your ITSM initiative.